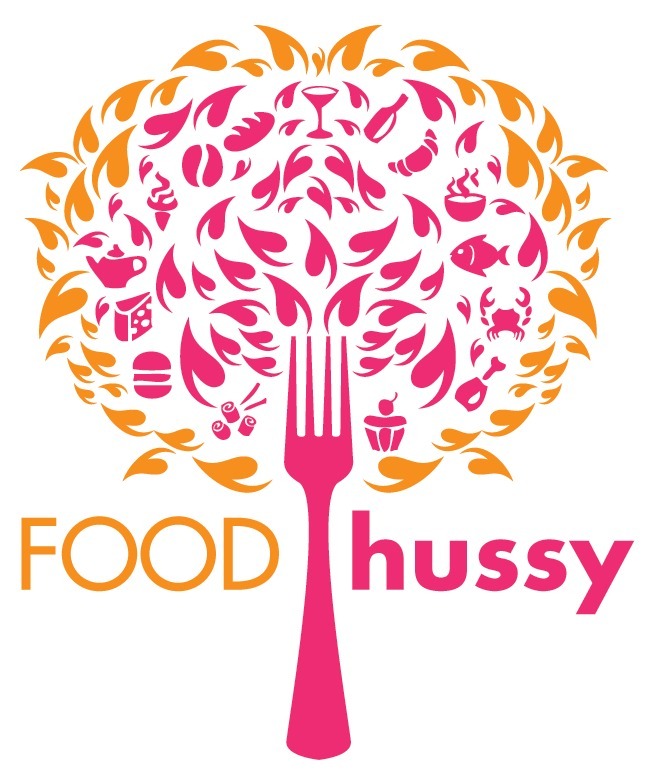 Food Hussy Recipe: Mushroom Stroganoff | The Food Hussy! Every once in a while - you get a hankering for something - right? 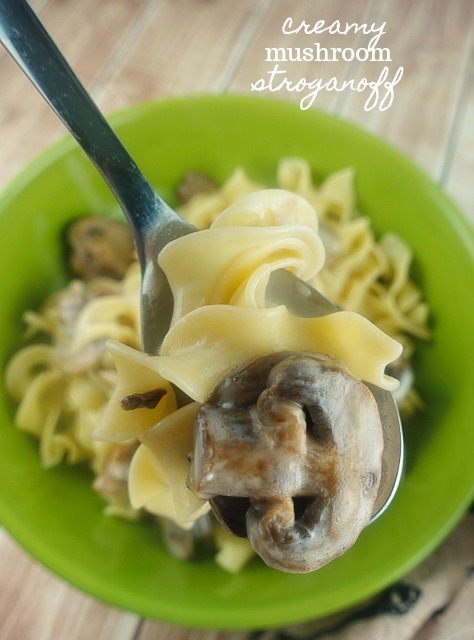 The other night - I really just wanted something like Beef Stroganoff. But I knew I didn't have any beef thawed out - but I did have mushrooms - so I went to town! This isn't exactly a traditional stroganoff - that would obviously have beef, mustard and paprika - I wanted a light dish but still creamy. Egg noodles was something I basically didn't eat for YEARS because my ex-husband was allergic. But - now that I'm on my own - egg noodles are back in my life! 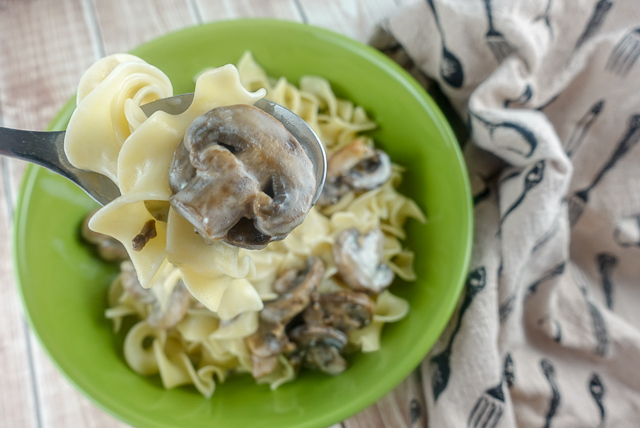 I sort of made this up on the fly - I had some cream and chicken broth in the fridge that needed to be used along with mushrooms - and you put it all together and you've got a nice little sauce! 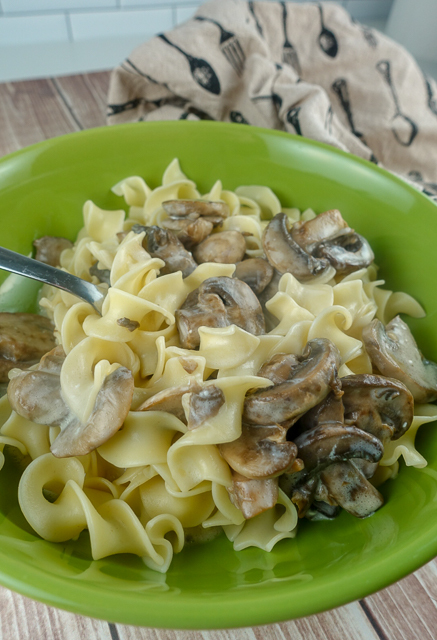 I sauteed the mushrooms in butter because that adds to the flavor of the sauce. In the time it took to make the noodles - the mushrooms and sauce were ready! I made just the right amount to have it for dinner and then the next day for lunch. I'll definitely be making this again. Egg noodles are so light - I'm so happy to have them back in my life!! I loved that this is great for the "Meatless Monday" movement or even on Fridays during Lent! Over medium high heat, melt butter in a skillet. Pasta should be done. Drain pasta and set aside.